Did Glaxo Violate Its Corporate Integrity Agreement? The ongoing bribery scandal that GlaxoSmithKline GSK -0.7% faces in China may have generated sensational headlines, but its shares have mostly traded in the same narrow range since the episode erupted (back storieshere and here). Although Glaxo execs say it is not yet possible to estimate the financial impact, it is worth noting that China generated in the low single digits percent of total company revenue. But there is one way in which this mushrooming controversy could cause Glaxo some trouble. As part of its $3 billion settlement last year to resolve civil and criminal charges of selling drugs for unapproved uses and withholding clinical trial data, among other things, the drugmaker signed a Corporate Integrity Agreement, which required creating an internal compliance program to monitor business practices. A violation could lead the US Department of Health and Human Services Office of Inspector General to seek to exclude the drugmaker from contracts with federal healthcare programs, such as Medicare and Medicaid. This is big business, of course, and so any whiff of trouble that could impact the CIA has investors on alert. On a conference call this morning to discuss the latest earnings, Glaxo CEO Andrew Witty was asked whether Glaxo staff believe the scandals in China would have an effect on the CIA, since it is known that US authorizes are probing the drugmaker for violations of the Foreign Corrupt Practices Act. Witty, however, breezed past the question without offering a response. In other words, an impact cannot be ruled out. To what extent, if any, the worst-case scenario for Glaxo might occur – exclusion from dealings with federal health care programs – remains unclear, of course. The feds, however, are loathe to pursue an entire company, especially a large drugmaker that sells a plethora of medicines that, in some cases, may not be easily afforded or obtained from other suppliers. This would hurt purchasers and patients. Just the same, the prospect that the feds are keenly aware of the circumstances understandably has the drugmaker on edge, and this will likely be the case for some time, especially as Glaxo operations are put under a microscope in other locales. Perhaps the feds would seek to exclude an executive or two instead of the entire company. For now, though, investors may not want to be entirely sanguine about the outcome. Amid the clamour over GlaxoSmithKline’s mounting crisis in China, the group has issued an upbeat set of half year results. Denise Roland reports. Sir Andrew Witty may have been looking forward to unveiling GlaxoSmithKline’s first half results until just a few weeks ago. There were many successes to report: better than expected sales, a robust pipeline of new drugs, and progress with lucrative asset disposals. Instead, in a press conference following the results announcement, he faced ferocious interrogation over the company’s mounting crisis in China. Sir Andrew fielded twenty questions in total. Nineteen of them centred on China. The responses varied in delivery, but they drummed home the same carefully choreographed message. On five occasions Sir Andrew said he was “disappointed” by the scandal. He stressed no fewer than 16 times that the four Chinese sales executives on whom the allegations centre worked “outside” the company’s control systems. The message was clear: GSK’s top brass had no idea corruption was occurring and any guilt lies firmly with the sales executives who orchestrated the alleged fraud. Glaxo is ensnared in one of the biggest criminal investigations into bribery ever conducted in China. The government’s powerful Public Security Bureau is investigating Rmb3bn (£320m) in potential bribes paid to individuals at every level of the Chinese medical system. The allegations centre on four Chinese sales executives who have been under arrest for some weeks. One appeared to admit the charges on state television, while Chinese police claim the other three have made confessions off-screen. The quad is accused of using a complex network of “travel agents”, middlemen who arrange medical conferences and events, to funnel payments to doctors and other officials in exchange for higher prices and market share. Sir Andrew may have refused to accept personal responsibility for the scandal, but he did make an important admission. If it emerges the four Chinese executives did manage to circumvent Glaxo’s controls, then this will “clearly raise some questions”. And, as revealed in the Daily Telegraph on Saturday, GSK’s own probe into the matter has already uncovered evidence that appears to support some of the charges. But had events not erupted in China, the press conference would have been a very different affair. Sir Andrew would have produced a long list of signs that Glaxo’s growth strategy, which he set out as he took up the helm of the company five years ago, is starting to deliver. Second quarter revenues grew 2pc year-on-year to hit £6.618bn. While the top line beat analysts’ expectations, it is the palpable prospect of future winnings that keeps investors betting on GSK. GSK, Sir Andrew might have said, has well and truly cleared the dreaded patent cliff – the looming expiry of a drug company’s exclusive rights to produce its branded medicines. The six “sizeable” drugs on which Glaxo has pinned its near-term growth hopes have made important strides this year. Breo, GSK’s new treatment for respiratory disease COPD, and skin cancer drugs Tafinlar and Mekinist, all won regulatory approval in the US in recent weeks. GSK expects the remaining three to get the green light by the end of the year. Thirteen more products are in late stage clinical trials, with results expected in the next 18 months. Such a pipeline, Sir Andrew might have said, is unprecedented for Glaxo and a substantial achievement for any pharmaceutical company. Glaxo is also a much more diversified business than it was five years ago. It has broadened its portfolio to include vaccines and consumer healthcare products such as toothpaste and over-the-counter medicines. These areas are important for shielding Glaxo from the risks associated with drug research, but they are also key to GSK’s expansion into emerging markets, another major plank of the company’s growth plans. Sir Andrew may also have drawn attention to two imminent asset sales which could net the company nearly £2bn. He said the sale of the company’s iconic Lucozade and Ribena brands, thought to be worth as much as £1bn, will complete by the end of the year. Glaxo has also been offered £700m for two drugs for reducing blood clots and the associated manufacturing plant. And while the press conference may not have gone as Sir Andrew had hoped, the markets have given GSK the benefit of the doubt. The share price has remained resilient even as the crisis in China escalated in the past two weeks. Investors may be concerned about the allegations in China, which GSK has described as “serious” and “shameful”, but they are considering the bigger picture, too. Although China is one of Glaxo’s fastest growing markets, it only accounts for around 3.5pc of total global turnover. GSK has also been keen to stress that the scandal will not see it retreat from this promising market. Sir Andrew joined that chorus today, too. Of all the noises he made on China today, that, at least, was music to investors’ ears. Britain’s biggest drug company has admitted some of its executives have broken the law, but has failed to explain who did it, what they did, when they did it or how long the company has known about it. Follow our live coverage of his statement (midday) and conference call with the media (from 12:15pm). Here are eight questions I think Witty – who was paid £3.9m last year – should answer. What have GSK staff actually done? The Chinese authorities have accused GSK of acting like a criminal “godfather”, using a network of 700 middlemen and travel agencies to bribe doctors with £320m cash and sexual favours in return for prescribing GSK drugs. How long have GSK China executives been allegedly breaking the law? Gao said the police have evidence that bribery has been a “core part” of GSK China’s business model since 2007. How much did GSK pay out in bribes? Did this inflate the price of GSK’s drugs to patients? Gao claims GSK spent 3bn yuan (£320m) on bribes. GSK has refused to comment. When did GSK first become aware of these allegations and why did Witty not address accusations of wrongdoing in China earlier? The Chinese authorities announced the charges and arrested the four GSK executives on 15 July – this was just a week after the company said a four-month internal investigation found “no evidence of corruption or bribery in our China business”. How far up the corporate food chain did the corruption reach? GSK has refused to say how many of its executives appear to have breached Chinese laws, or name any individuals it suspects. What will Witty do to clean up GSK’s Chinese operations? GSK said it is taking the charges “extremely seriously” and will take “all necessary actions to … root out corruption wherever it exists”, but the company has not so far given any details of specific measures it will take. What information has GSK passed to the Serious Fraud Office? GSK said it is regularly briefing the SFO, but has not said what information it has passed on. Can Witty assure shareholders that staff in other countries are not bribing doctors? Last year GSK paid a $3bn (£1.9bn) fine in the US to settle claims that it tricked and bribed doctors into prescribing dangerous antidepressants to children. After the settlement Witty vowed that a company-wide overhaul would prevent a repeat of the scandal. In the latest development China’s official news agency has today hinted that more foreign and local drug companies could soon be implicated in the “rampant” bribery scandal. More on Reuters. It will not be surprising if more pharmaceutical companies and hospitals, domestic or international, are to be involved in probes in the days to come. Big international firms should shoulder (their) due responsibilities to bid farewell to malpractice, setting a good example and serving as a wake-up call for domestic pharmaceutical companies. Clearly, we are likely to see some impact to our performance in China as a result of the current investigation, but it is too early to quantify the extent of this. We are co-operating fully with the Chinese authorities in this matter. GSK’s sales in second quarter are up 2% to £6.6bn. Earnings per share were up 1%. the company expects to sell Lucozade and Ribena before the end of the year. Witty said the allegations in China are “shameful” and “deeply disappointing”. To be crystal clear we have zero tolerance to this sort of behaviour. Witty said the allegations are “totally contrary to our values”, and says the company is “cooperating fully with the authorities”. Witty says there is nothing to indicate that the British management of GSK China had any role in the scandal or any knowledge of the activities of other individuals. Witty says this investigation is “quite different” to the whistleblower claims the company recently investigated and found no evidence of wrongdoing. I am personally very disappointed. They are shameful allegations. I remain strongly of the view that the 99.9% of individuals in this organisation are operating in the right way. Witty says he’s “absolutely willing and ready” to go to China, but says there are a lot of other issues in GSK that require his attention. He declined to say if he would hand back some of his bonus this year if the company is found guilty of fraud in China. Witty says GSK has “opened up channels” to regulators on both sides of the Atlantic. He says the company has also “consulted with the UK government”. Despite a number of journalists still requesting to ask questions, Witty said he had “run out of time” after 30 minutes of questions and closed the conference call by repeating his “absolute” commitment to “rooting out corruption”. Witty ended the conference call before allowing me to put the Guardian’s eight questions to him. I have collated the best we learned from his other answers. He said the allegations were “shameful” and “deeply disappointing”. “To be crystal clear we have zero tolerance to this sort of behaviour,” he said. But he refused to explain what exactly the executives have been doing. He said the investigation was in the early stages, and he was unable to provide any further details. Witty did not answer this question. He did not answer this question. But he raised the possibility of discounting the price of drugs in China. Witty said GSK’s head office in London “knew nothing” of the fraud allegations until they were announced by the Chinese police last week. He stressed that the current investigation is “quite different” to a whistleblower’s claims of corruption GSK investigated recently and said it found “no evidence of corruption or bribery in our China business”. He did not explain why the previous four-month internal investigation did not discover the current allegations. Witty said the Chinese police’s investigation appeared to focus on the four Chinese GSK executives already detained, and he said there was nothing to indicate that GSK China’s British management – Mark Reilly and Steve Nechelput – had any knowledge of the wrongdoings. Witty said GSK is “cooperating fully with the authorities” and was absolutely committed to rooting out corruption. 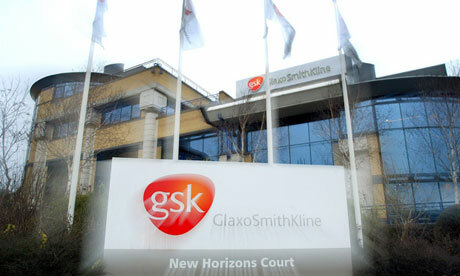 He said GSK would carry out a full review of its Chinese operations and processes. He said he was “absolutely willing and ready” to go to China, but said he has no plans to go yet. He did not state what information has been exchanged. But said GSK has “opened up channels” to regulators on both sides of the Atlantic. And the company has also “consulted with the UK government”. He said he was “personally very disappointed” by the “shameful allegations”, but said he remains “strongly of the view that the 99.9% of individuals in this organisation are operating in the right way”. Andrew Witty, GlaxoSmithKline Plc chief executive officer: he will hope his investors are concentrating on the numbers when he unveils the FTSE 100 giant’s second-quarter financial results at midday today. 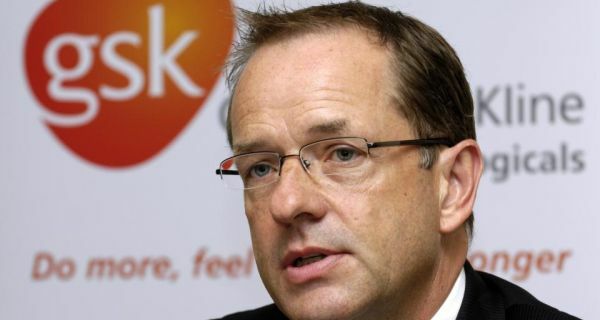 GlaxoSmithKline chief executive Sir Andrew Witty will hope his investors are concentrating on the numbers when he unveils the FTSE 100 giant’s second-quarter financial results at midday today. And the numbers will be good. Analysts expect GSK, Britain’s biggest drug-maker, to announce revenue growth of 2 per cent and a dividend hike of 12 per cent. But shareholders will be nervously eyeing two different numbers: 372 million – the euro value of an alleged Chinese bribery scandal in which GSK has already admitted some culpability. And 1.19, the percentage by which GSK’s shares closed down on Monday when the company was the FTSE’s worst performer. Sir Andrew is expected to repeat Monday’s apology when he presents GSK’s financial data. The strong wording of that first statement shows just how much trouble the company could be in. Abbas Hussain, GSK’s international president for Europe and emerging markets, made little attempt to wriggle when he told China: “GSK is taking this situation extremely seriously. The Chinese authorities believe they have uncovered “mafia-like” behaviour by GSK employees, who they suspect of creating a complicated network of 700 travel operators as a facade for bribing doctors in attempt to buy market share. The travel operators, who organise conferences for doctors, were allegedly paid bribes to “stimulate contracts”; in effect they supposedly took GSK cash and paid it out as backhanders to doctors. Invoices were then falsified for larger conferences than actually took place, giving GSK cover for its illegal activity and – as a cherry on top for Chinese investigators – creating tax-avoidance issues. A number of other pharmaceutical giants have been drawn into the probe with Belgian’s UCB and America’s Baxter International also being questioned. AstraZenecahas had three employees taken in for questioning, although Britain’s second-biggest drug-maker maintains the allegations are not connected to the travel agency ring. When GSK was first informed of the investigation, it immediately halted the use of travel agencies and launched an investigation into all its Chinese third-party relationships. But that didn’t stop Chinese authorities arresting four senior GSK staff as well as Peter Humphrey, a British private investigator whose advisory firm ChinaWhys has worked with GSK. GSK has moved swiftly to turn the tide, sending in Mr Abbas Hussain – brother ofEngland cricket captain Nasser Hussain – as a 12th man. He has pledged to reduce drug prices in China and apologised to Chinese police officers. Unfortunately for GSK, the allegations do not stop at bribing doctors. US media reports allege GSK has problems at its Chinese drug development arm. Confidential documents obtained by the New York Times reportedly show internal GSK auditors warned executives two years ago the Chinese R&D centre could expose its parent to regulatory action and risk. In 1840, the British army invaded in support of private traders, forcing the country to open its doors to billions of pounds worth of drug imports. The drug in question was an addictive mixture of tobacco and opium and every Chinese child learns about their country’s humiliation in the ensuing Opium Wars. Nearly two centuries later, will a British private company be able to apologise enough? Do You Believe They Knew Nothing ?… I Don’t . . . The chief executive of GlaxoSmithKline has insisted the British drugs group had no knowledge of the alleged cash and sexual favours bribery scandal which has engulfed the company in China before the police arrested four of its senior Chinese executives last week. Sir Andrew Witty, GSK’s chief executive, said the company’s headquarters had “no sense” of the “shameful” and “deeply disappointing” allegations that some GSK China executives are the “godfathers” of a criminal scam, bribing doctors with cash and sexual favours worth £320m. He said the company has “zero tolerance” for the alleged behaviour, which is “totally contrary” to GSK’s values. However, he repeatedly refused to say if he would hand back some of his bonus this year if the company was found to have broken the law in China. He said the level of his bonus – which totalled £2.7m last year – is “really a matter for the board”. Witty added that he was “absolutely committed to rooting out corruption and we are absolutely committed to getting to the bottom of what has happened”. The GSK boss, who was paid £3.9m last year, said he was “absolutely willing and ready” to go to China to head up the company’s investigation. However, he is leaving the day-to-day handling of the crisis to Abbas Hussain, GSK’s head of emerging markets, who flew out to China take control of the situation last week. He refused to provide details of how the alleged fraud operated, but said the Chinese policeinvestigation is focused on the four Chinese nationals already detained by the police. He said they appear to have been “potentially defrauding GSK and also at the same time allegedly doing some things in the market which are clearly inappropriate and illegal”. The Chinese investigators have “no allegations” against Mark Reilly, the British head of GSK China, or Steve Nechelput, its finance director in the country, Witty said. He said Reilly, who has left China for the UK, and Nechelput, who the Chinese have banned from leaving the country, have been helping GSK with its investigation. This is despite GSK declaring last month that a four-month internal investigation into allegations of bribery and corruption in China found “no evidence of corruption or bribery in our China business”. Witty said the previous allegations raised by a whistleblower were “quite different” to the new charges. “They are two completely different sets of issues: we fully investigated the first and of course this has now surfaced in the last couple of weeks,” he said. GSK has already pumped in extra cash into its investigations team in China to help them to get to the bottom of the scandal, Witty said. Despite the apparent serious breach of compliance, Witty said GSK’s controls and audit systems are “extremely robust”, but promised the company would “learn from this and make changes”. It comes a year after Witty promised a company-wide overhaul to prevent a repeat of a scandal in which GSK staff tricked and bribed doctors into prescribing dangerous antidepressants to children in the US. “We’re determined this is never going to happen again,” he said last summer after GSK paid a record $3bn (£1.9bn) fine to settle the claim. GSK has “reached out” to regulators in the UK and the US and has “consulted with the UK government” about the Chinese investigation. He warned that the allegations are likely to have “some impact” on GSK’s future performance in China, but said it was “too early to quantify the extent”. GSK reported a 2% rise in second-quarter sales to £6.6bn. Its drug and vaccine sales in China rose 14% to £212m. China accounts for just over 3% of the company’s global sales. In normal circumstances Sir Andrew Witty might have expected a smooth ride at GlaxoSmithKline’s first-quarter press call as he waxed lyrical on arguably the most promising drugs pipeline in the pharmaceutical word. Its new lung drug Breo, along with two new melanoma-fighting compounds, have won US approvals and there are another 13 medicines on the way. Instead, Witty was confronted with troubling questions about the command and control of GSK’s China operations. The chief executive began with the ritual condemnation of shameful behaviour, vowed to root out corruption and promised to get to the bottom of events. But like many corporate leaders before, he seems to misread the public mood. His assertion that GSK has ‘a lot of things [to do] beyond focus on China’ misses the point. Allegations of bribery, sexual favours and other corrupt activities in a major and fast-growing market (albeit only 3 per cent of the business) can destroy reputations. It is irrelevant to Western stakeholders in GSK whether or not this is a mischievous campaign by the Chinese to discredit Western drug companies. What is certain is that Beijing does appear to have identified wrongdoing. The key lesson from previous high-level corporate crises is not to hold back material. GSK has a history of not being as forthcoming as it might. Adverse studies on the potential side-effects of the anti-depressant Seroxat/Paxil were suppressed. It also had an expensive run-in with the authorities in the US over the incentives provided to medical practitioners to prescribe its drugs. So it is crucial that Witty makes China his priority. He may well have been working around the clock to deal with the crisis, but from the group’s initial muddled responses it is hard to recognise that. No one is suggesting Witty should get on the first plane to Beijing and set up a situation HQ there in the way that Tony Hayward took up residence in Houston after the BP’s Deepwater Horizon disaster. Hayward played into the hands of BP’s critics by underestimating the scale of a problem and overpromising on his ability to deliver quick and neat engineering solutions. Instead of batting away questions about China operations by saying individuals have been ‘operating outside of our systems’, Witty should be telling us who they are, what they did, how much money is really involved (the £300million quoted is thought to be an exaggeration) and what the potential long-term consequences for the business are. Moreover, he should have placed himself above personal criticism by committing to no bonuses – or even some claw back of past pay – until the high ethical standards promised in GSK’s annual report have been fully achieved. This is basic stuff for a company with a danger to its reputation, especially one operating in the sensitive area of healthcare, where integrity is everything. It is one thing delivering new compounds and earnings growth and quite another leadership task to manage your way through crisis. Best in the class in modern times was Johnson & Johnson in the ‘Tylenol’ tampering crisis and more recently ABF, owners of Primark, over the tragedy in Bangladesh. In the latter case ABF chief executive George Weston saw it as a matter of personal pride that everything was done to provide immediate assistance and prepare for the future as soon as possible, even if it was not his company’s responsibility. In GSK’s case the facts clearly are incomplete and the mixture of politics and commercial interest is toxic. But when reputation is at stake there can be no excuses for failing to make the fullest and worst case disclosures and dominating the narrative. Vince Cable’s description of a ‘capital Taliban’ at the Bank of England is hugely unfortunate. It is disrespectful to the Bank, which is legally required to make the UK’s financial system safer, but more seriously its trivialises the work of all those laying their lives on the line to combat the Taliban in Afghanistan. The reality is that there has been regime change at the Bank and the new governor, Mark Carney (give him a chance), may have a different approach to his predecessor. Indications are that he regards recovery as a priority, and encouraging bank lending, above the immediate rebuilding of balances sheets, might well be one of his goals. It is highly commendable that Nationwide members raised over £175,000 for Macmillan Cancer Support at the building society’s AGM in Manchester, as highlighted in a press release. But was this the real story of a meeting where almost 9 per cent of members refused to support chief executive Graham Beale’s £2.25million remuneration package? Perhaps, Beale could match the generosity of ordinary members. GlaxoSmithKline CEO Andrew Witty is expected to unveil the company’s official response to the bribery allegations it faces in China during a quarterly results announcement on Wednesday. According to a number of unnamed sources cited by Reuters, Witty will elaborate on what may have gone wrong with the company and what it will do to regain its credibility. “He will give his perspective on what appears to have gone on and how it can be put right,” said one of the sources. On Monday, the company said that some of its executives in China appeared to have broken the law as part of the bribery scandal. “Certain senior executives of GSK China, who know our systems well, appear to have acted outside of our processes and controls which breaches Chinese law,” the firm’s head of emerging markets, Abbas Hussain, said in a statement. Hussain, who was sent to China last week to lead GSK’s response to the crisis, held a meeting with China’s Ministry of Public Security and pledged to reform the company operations in the country. The company is also facing prosecution under Britain’s Bribery Act and the US Foreign Corrupt Practices Act in light of the charges from China. According to its Annual Corporate Responsibility report, GSK conducts up to 20 internal audits in China each year. In addition, it says that of the 312 company staff dismissed worldwide in 2012, 56 were in China. The relevant GSK spokespeople were not available for comment at the time of publication. Last week, China’s Ministry of Public Security accused the unnamed GSK executives of routing 3bn yuan (£324m, €375m, $489m) in bribes to doctors through 700 travel agencies and consultancies over six years. One of the four arrested executives, vice-president and operations manager Liang Hong, confessed on state television on 16 July that he had received money through travel agencies for arranged conferences. Chinese authorities had also banned GlaxoSmithKline’s British finance director Steve Nechelput from leaving the country as part of the investigation. 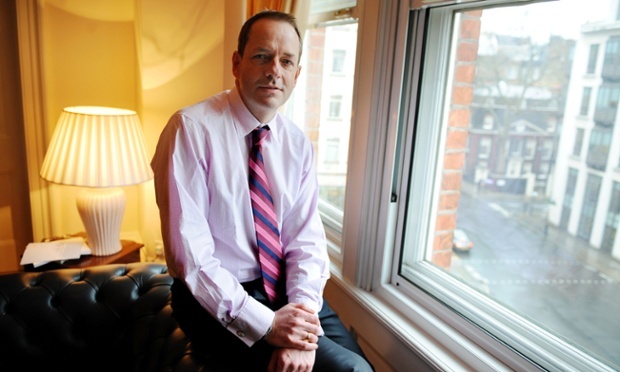 The move comes after Mark Reilly, GSK’s China head, left the country shortly after the investigation was revealed on 27 June and has not returned. GSK called the allegations “shameful” and said it was “deeply concerned and disappointed” by them. The company added it was taking immediate action, including terminating business with the identified travel agencies, and reviewing its previous transactions with the affected companies. It has already hired Ernst & Young to conduct an independent review of its systems in China and sent three senior executives to lead the response on the ground. Chinese authorities are also investigating other companies and individuals involved in the pharmaceutical sector as part of a nationwide drive to root out corruption. They have visited the office of Belgian drugmaker UCB, as part of an investigation into alleged malpractice by foreign firms in the pharmaceutical sector. Reuters also reported citing sources that Shanghai police had arrested a British national, Peter Humphrey who runs an international business risk advisory firm, ChinaWhys. The firm has worked with drug companies including GSK. The company shares are trading at 1,698.5 pence, down 0.96%, as at 9:30 am. Are GSK’s corrupt practices a thing of the past?… (Do pigs fly? ).